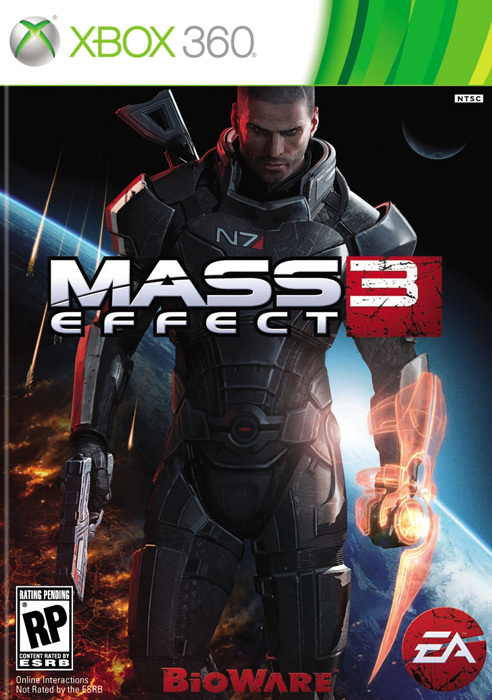 Mass Effect 3 is the third installment in the Mass Effect series, and the final leg of Commander Shepard’s journey. In Mass Effect, Commander Shepard is faced with the task of taking down Saren Atrerius, a rogue spectre who had been indoctrinated by the Reapers. In Mass Effect 2, Shepard joined with Cerberus to take down the collectors, and stop yet another Reaper. Now, in Mass Effect 3, it is Shepard’s job to stop the Reapers once and for all before they destroy the human race, and all other life in the galaxy as well. As you can see, the Reapers are a major enemies throughout the series. Not much is known about the Reapers, but what little is known is not positive. They seem to have a pattern of wiping out all sentient lifeforms in the galaxy every 50,000 years or so, and they are now on the rise again. The setting of the Mass Effect series is 173 years in the future. Humans have discovered they are not alone in the galaxy, and have therefore branched out of the Sol system and established colonies in other solar systems as well as established a place on the the Citadel. The Citadel is the main center of alien relations and embassies in the galaxy, a sort of “capital” of the galaxy. You play through these games as Commander Shepard, a human who’s back story, destiny, appearance, and gender are all yours to choose. These games are based on a heavy RPG system where you literally chose at every turn which direction the game will go. You may play the Commander as a Paragon (positive, or “good” alignment), a Renegade (negative, or “evil” alignment), or somewhere in between. The choice is yours, but remember that almost every choice you make will have consequences later on down the road, so choose wisely. This review is going to be strictly about Mass Effect 3, and not it’s two predecessors, from here on out. I will assume the first two games have been played by the reader and not go into very much detail about references to the previous games at this point. Mass Effect 3 (or ME3 for short) starts out with a relieved of duty and virtually grounded Commander Shepard. You have no rank, and no access to the outside world after the tragic events that took place in Mass Effect 2’s “Arrival” DLC, but all of that is about to change. Something big is happening, and everyone on Earth can feel it, but Shepard knows it – The Reapers are here. All of Shepard’s previous warnings and info regarding the Reapers are becoming a reality for everyone who doubted him/her. Shepard knows the Alliance must stick together if humanity is to have any chance of success against the Reapers, and from here the rest of your story begins. Throughout this game you will realize that if you imported your character from the previous two games your previous choices will have an impact on the story. Characters who died in the previous games will not be there to help you out in ME3, choices you made to side with a group of people or rebel against them will impact the story as well. The main goal in ME3 is to get the galaxy to work together in stopping the Reaper invasion that will eventually lead to the extinction of most races in the galaxy. Shepard will have to get a lot of help if Earth, or the galaxy in general, is to be saved. This means healing old wounds and uniting races such as the Turians and the Krogan, uniting old enemies like the Quarians and the Geth, and all the while trying to stifle the actions of Cerberus as much as possible. Yes, Cerberus is indeed a major enemy in this game, unlike in Mass Effect 2 where they are essentially allies with Commander Shepard after bringing him/her back from death. You quickly learn that the Illusive Man is trying to control the Reapers as opposed to destroying them, and he now sees Shepard as an expendable distraction to his main plans. The squad you will have to help you in this game is almost the exact same squad as in Mass Effect, minus one or two and adding one or two from Mass Effect 2. There are also a couple of newbies – even a Prothean character available through the “From Ashes” DLC. Friendly faces such as Garrus Vakarian and Liara T’Soni are back on your squad, whereas friends like Miranda Lawson and Jack are seen in missions but are never on your squad. Everyone that made it through the other two games will appear in ME3 at one point or another, some have small parts and some have larger parts, but all are available for conversation at the very least. You will have a chance to rekindle and relationship you started with a character from either of the previous games as well as start a new relationship with a handful of characters, some new and some from the other two games. Gameplay in ME3 is very similar to that of the previous games, if anything it is a bit smoother. The Mass Effect series is an action RPG played in the third-person view. You can play as a variety of classes ranging from a Soldier with little biotic abilities to an Adept with heavy biotic abilities. The same classes from the previous games are available again, some with minor changes, but no new classes are available yet. Rolling has been added to combat in ME3, so now Shepard can roll and dodge attacks from enemies as well as roll to and from cover. You can vault over cover a lot smoother than in Mass Effect 2 in this one as well. As always, new and old weapons are available for purchase or can be found on various missions. You can now upgrade your weapons with mods such as an extended barrel to increase damage, or a scope to increase accuracy. Each weapon can have two mods on it, and the mods range from making your weapon lighter to doing more melee damage when used. Melee has been improved as well, you can now use your omni-tool to create special heavy melee. Each class has it’s own animation for the heavy melee, such as the Soldier class using a blade to stab into the enemy, or the Adept class using biotics instead if the omni-tool to hit the opponent and deal damage. Throughout this game, as with the previous games, you are encouraged to talk to your squad mates while walking around the Normandy to get a better sense of their wants, needs, and personalities. In ME3, these bonds are even stronger since you have been with these characters from between 100 to 300 hours of gameplay from the other two games. Deep conversations with each character will unlock one of their powers for Shepard to use, so it is important to stay social. So, for instance, if you play a Soldier class character but what to use a biotic ability such as Slam, all you need to do is keep in touch with your team. Shepard is allowed one extra power at a time, but this power can be changed at any time to another ability in the Normandy’s med-bay for a small price. Scanning planets has become a lot easier and less time consuming in ME3 as well. Instead of visiting each individual planet and scanning it for resources you can simply fly through the solar system and scan that way. As you scan EDI will let you know when something of importance is found and you can visit the planet and claim the important item. Some of them are war assets, some are relics and artifacts, and some are just fuel for the Normandy. You must be weary while scanning though, each scan you preform will alert nearby Reapers and once you have fully alerted them they will attack the Normandy. You must evade them by leaving the galaxy and returning after you complete your next mission. A new aspect in Mass Effect 3 is the multi-player (MP) aspect. MP has been added into this game, and also plays a role in the single-player (SP) campaign of the game. The Galaxy at War map is available in the war room on the Normandy and will remain at 50% readiness until you complete rounds in MP. Every completed round will give you a percentage of “galactic readiness” which is added to the Galaxy at War map. Oddly enough, this is a very import aspect in SP but you must keep playing the MP as the readiness percentage will slowly go down over time. As you gain allies in the fight against the Reapers your “effective military strength” will increase. You can scan planets to find war assets like a Turian Fleet or an Asari commando unit. You can also find relics and artifacts by scanning planets and these can be given to certain individuals on the Citadel. Once given to the character in need, they will offer you a war asset. Both the galactic readiness and military strength play an important role in the final battle against the Reapers, much like the loyalty of your team had an impact in who survived the suicide mission in Mass Effect 2. 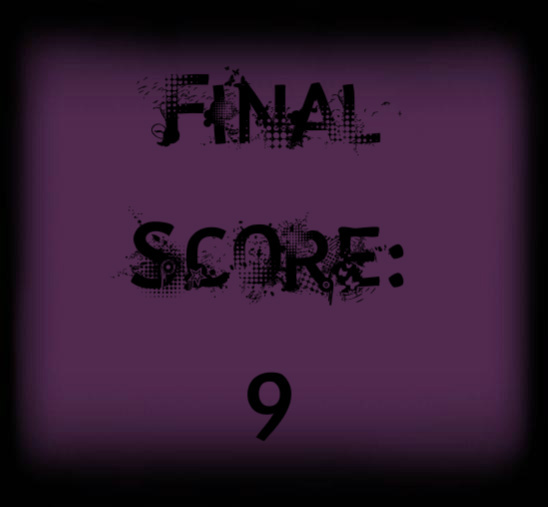 Your goal is to be completely prepared in both venues of readiness before departing on the final mission of the game. Everything after that point is something I cannot touch on without spoilers, so I will let you the reader play and discover the rest for yourself. Overall, I give this game a 9 for story, character development, gameplay, and multi-player. I will be honest with you all, I have never cried so many times while playing a video game in my 20 years of gaming. If you played and liked the previous Mass Effect games, you will love this one. It was a very satisfying game all around to any Mass Effect fan. Bioware has done an amazing job of making the player feel connected to the characters and feel the pain they feel and even sympathize with their plight. I must give major props to Bioware for this, as it makes the game much more enjoyable. I fell as if it is necessary to explain that this game would have gotten a 9.5 or even a 10 if it weren’t for the unsatisfactory ending as it was first released. I didn’t want to factor that in, but I feel I must as I recently realized that the replay value has been greatly depreciated due to this. I wont go into details as I try my hardest to write spoiler free reviews. and everyone seems to have their own opinion about it, but the general concensus is that it was poorly done and I must agree. This is a great review and very informative to the people who have never played the ME series. This is commander Shephard and this is my favorite review on the internet! Also I completely agree. 5/5 and Bioware did a fantastic job finishing out his story. I hope they leave this universe open for more games cause I love the races and lore.